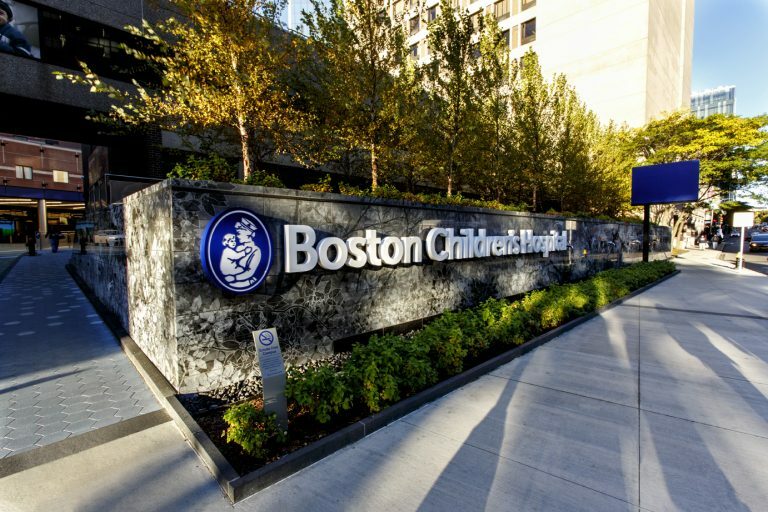 The entrance of Boston Children’s Hospital created a “hide and seek” style wall made of Mesabi Black® granite. 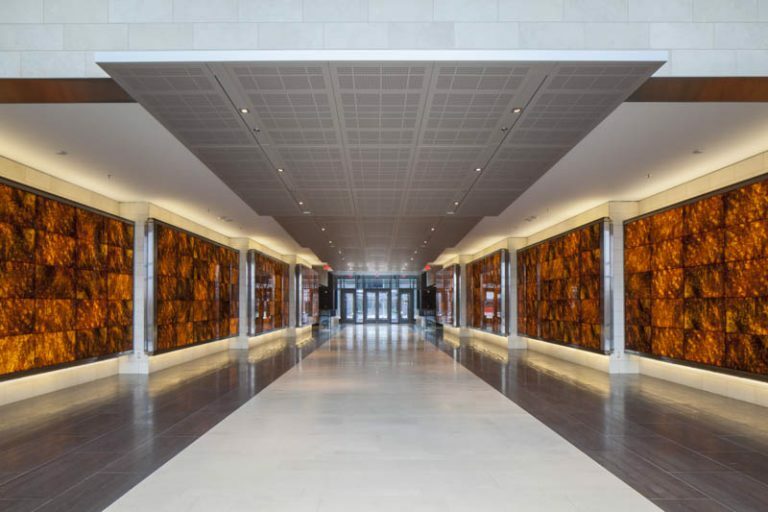 A case study featuring stone cladding in a hospital building. 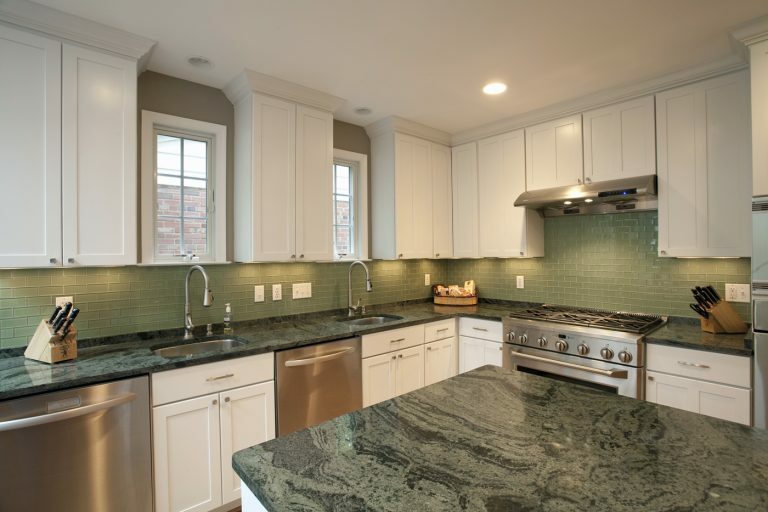 Using contrasting colors and two different types of stone in the same kitchen is an attractive trend that is growing in popularity. Greens go with just about everything: with black, stainless steel, and maple or cherry cabinets. 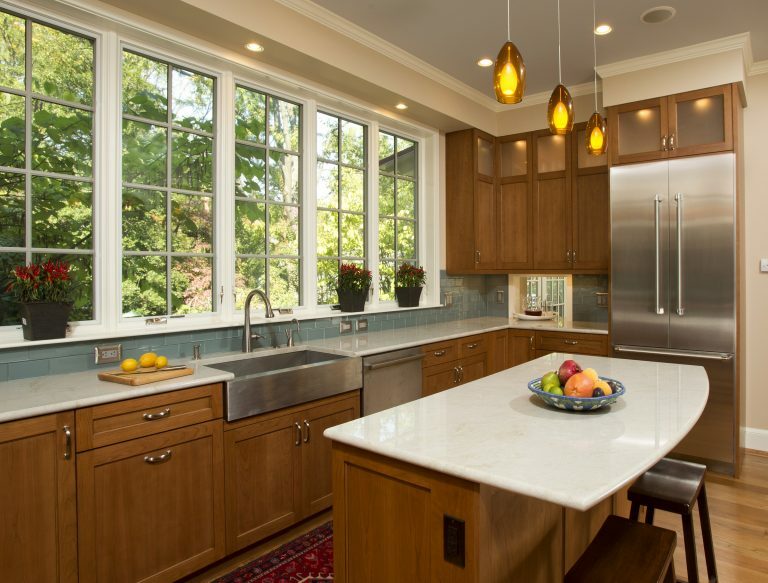 A case study featuring Macaubas Quartzite in a residential kitchen.